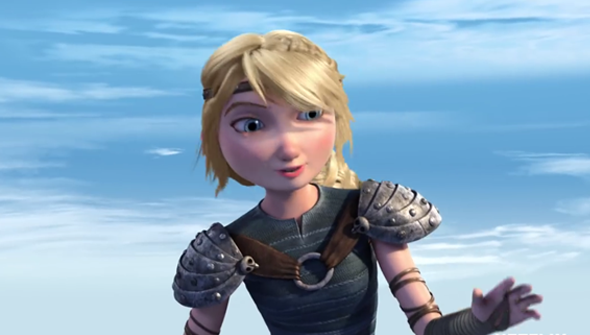 The latest season of the How To Train Your Dragon TV spin-off, Race To The Edge is now available streaming, exclusively via Netflix. The small screen spin-off of the hit movies is on its third series, following Riders Of Berk, and Defenders of Berk, both of which previously aired on Cartoon Network. The third series, however, is landing first on the world's most popular film and TV streaming service, as part of a huge deal between DreamWorks Animation and Netflix. The latest series takes place between the events of the two movies, one year before the story depicted in How To Train Your Dragon 2. The name suggests that the concept of dragon racing, first introduced in last year's sequel, will play a major part in the series this time around. Virtually all the major voice cast reprise their roles (including Jay Baruchel and America Ferara), with Gerard Butler being the most notable exception. While the TV version is never going to be able to measure up to its big screen counterpart (from a technical standpoint at the very least) it will at least give fans a chance to return to Berk before the oh-so-distant 2018 release of the third film. The season comprises 13 episodes and is now available wherever Netflix is offered. Hiccup and Toothless are back in an all-new action packed series DreamWorks Dragons: Race to the Edge. Their quest: to explore strange new worlds, seek out never-before-seen dragons and end the war between Vikings and dragons once and for all. All episodes arrive only on Netflix, June 26.